I love a good red lip, I really do. I think its the easiest way to look pulled together in an instant without really trying to hard. 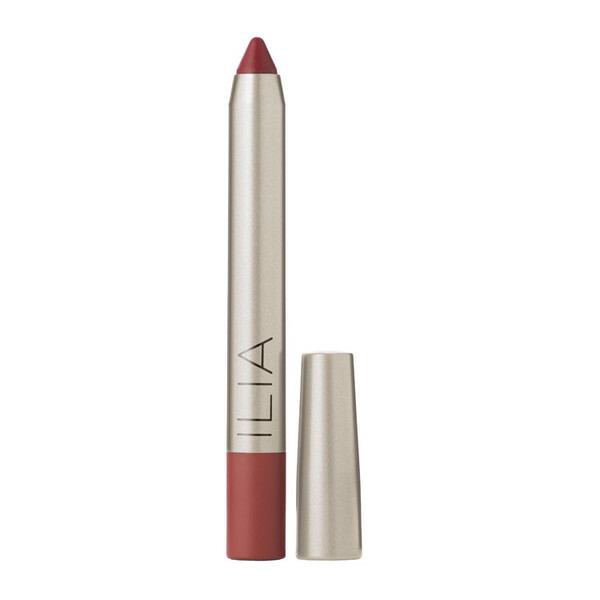 This new Lip Crayon by ILIA is pretty amazing. Its a super low key red, in that its not too bright, but red enough you can tell that you are wearing it without being clownish. Its a blue/brick red which I happen to adore. Another great thing about this lip crayon is that it does not require a sharpener, so smart. I love my Nars Lip Pencils but I hate that they require a sharpener and I refuse to take one with me on the go. Another thing that’s pretty awesome is that its formulated without nasty chemicals so you can actually feel good about putting this on your lips.